Credibility: Our professional personal trainers here at Optimal Health are all skilled professionals with degrees as well as certifications unlike nearly all big box gyms who do not require these kind of credentials… Scary! 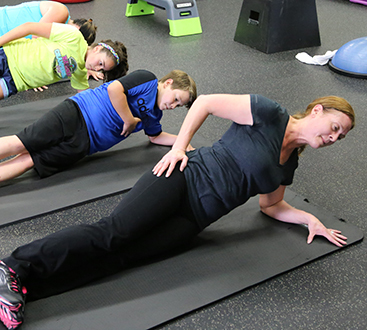 Experience: Our professional personal trainers have a combined amount of 12 years of professional experience! Team Approach: Our professional personal trainers work as a “team” to help you achieve more than you would with any old trainer at any other gym. It’s science, 3 heads work better than one. At nearly all big box gyms trainers do not work together to learn and get you the best results possible, instead they are in constant competition with each other to get you on board as their client. Another cool benefit that our clients really enjoy here at Optimal is the option to work out with multiple professional trainers! Go to another gym and try that! Sales vs. Help Approach: The secret is out… Our professional personal trainers are salary based meaning that there is never a major quota to be hit unlike most every gym. They are not paid to sell you into an unknown program that may or may not work like other gyms, yet there to help you, educate you and get you the kind of results that you deserve in the quickest, safest way possible. Functional Philosophy: Our professional personal trainers believe in using equipment and exercises that are backed by science to get you multifaceted results results that will help you out in more ways than one. They also have enough knowledge to mix it up so that training never gets old and boring! Medical Integration: Our professional personal trainers work directly with a group of highly renown board certified medical physicians. The benefits to this approach is endless as you could imagine. Mainly because if our trainers have any other questions needing medical attention or if a plateau is hit the doctors and trainers will discuss other avenues as to how to to break it and optimize the clients results. Pretty cool huh? Safety: Unsure about how to use the chest press machine at the gym or how to perform walking lunges without hurting your knees? Our professional personal trainers will show you how to exercise safely (including which exercises to avoid) and instruct you on the proper and safe use of exercise equipment. Motivation: Our professional personal trainers wear many hats, serving not only as coaches, but as an educators, confidants, role models and a major source of motivation and encouragement! Consistency: Do you find it difficult to stick to your exercise and nutritional clean eating program? Scheduling regular appointments with our professional personal trainers help eliminate any excuses you might come up with for not eating clean or exercising throughout the week. Individualized Instruction: We all should know that what works for one person, may not work for another when it comes to choosing an exercise and nutritional clean eating program. Our professional personal trainers will develop the most effective program for you based on scientific assessments and personalized goals. Beginners in particular benefit from instruction on how to perform specific exercises and program planning. Effective Workouts: Today’s hectic lifestyles mean you don’t have time to waste on ineffective exercise routines. 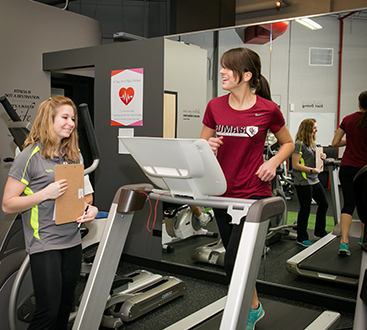 Personal trainers help maximize your time by providing workouts designed to meet your goals quickly and efficiently. Sports-specific Training: Many amateur and professional athletes work with a professional personal trainer during the off-season to prepare themselves for in-season competition. Whether you want to shave some strokes off your golf score or beat your brother-in-law at tennis, a personal trainer can tailor your program to your sport of choice. Injury Rehabilitation: Injuries and accidents can prevent you from participating in your favorite activities. An experienced personal trainer, however, can make the road to recovery a smooth one by recommending exercises that emphasize overall muscular balance to prevent future injuries. Special-needs Training: Research confirms that individuals with health challenges such as diabetes, asthma, osteoporosis or heart disease benefit greatly from regular physical activity. These conditions, however, can make exercising safely a challenge. Our professional personal trainers are experienced in designing programs that address the special needs of these and other conditions. Ego Boost: It’s a fact-feeling good makes you look good, and vice versa. Not only can your personal trainer help you achieve your health and fitness goals, they provide you with positive feedback on your performance and bolster your confidence to take on new challenges. Guaranteed Results: Name another gym that offers this… Boom there you go! 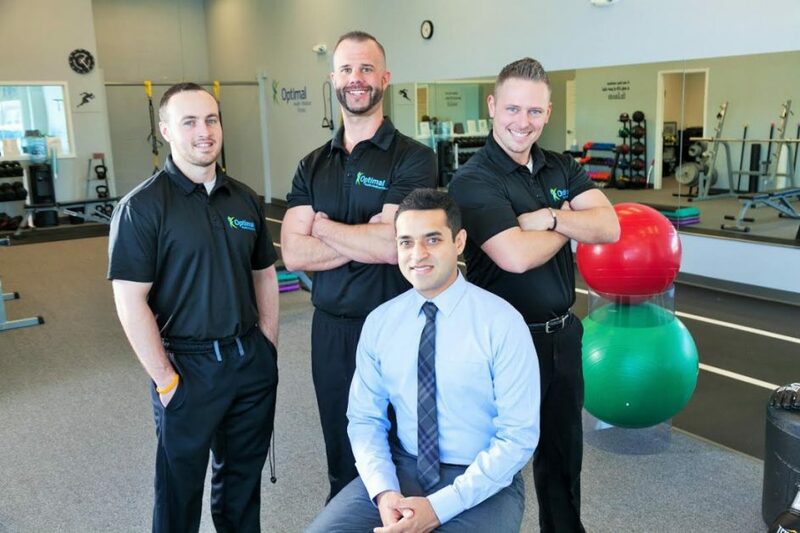 Come on in to see exactly what we are all about here at Optimal!